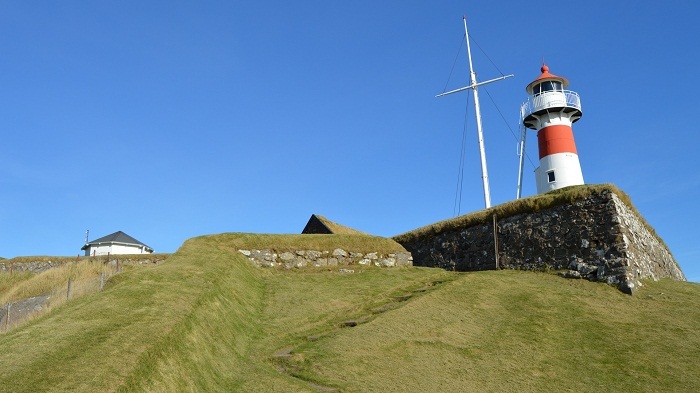 Skansin Fort is a small historic fortress that is located in the city of Tórshavn, which is the capital city of of the autonomous Faroe Islands, which are an archipelago within the Kingdom of Denmark. 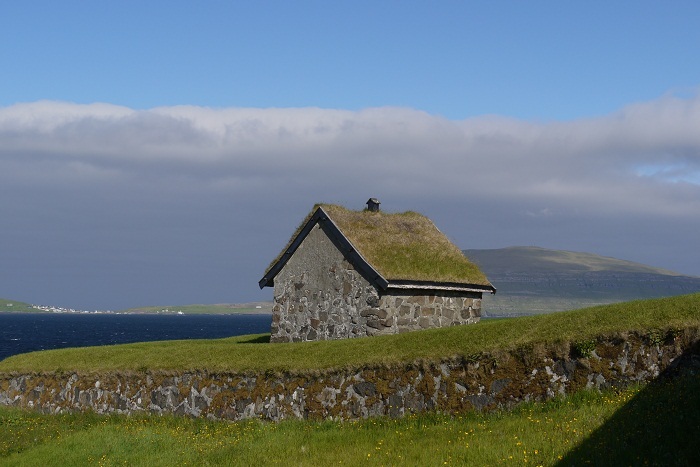 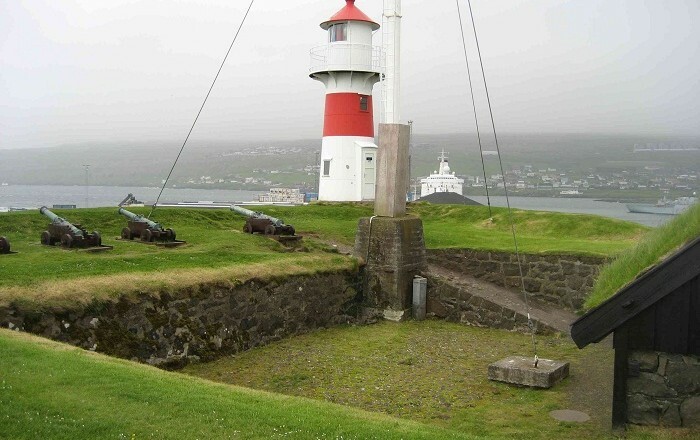 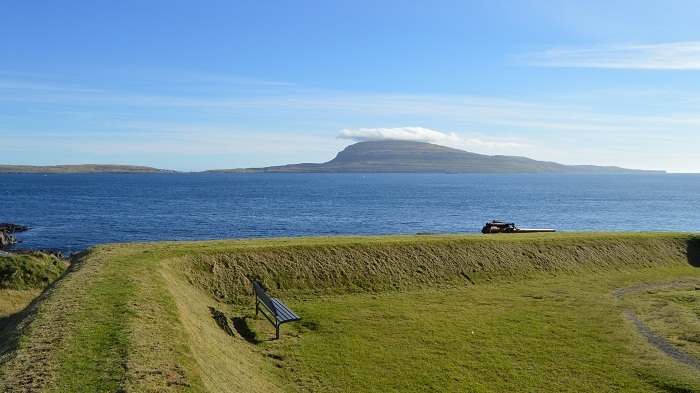 The interesting fort was built in 1580, according to the design by Magnus Heinason who was a local hero, as a measure to protect the city against the pirate attacks that became at that time quite frequent in the Faroes. 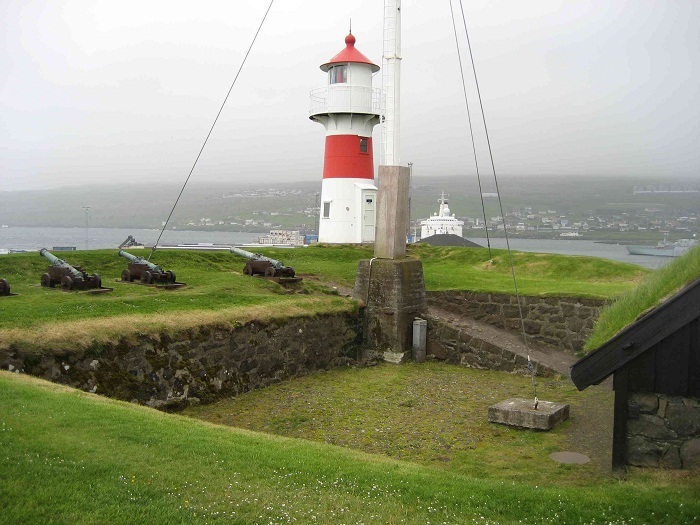 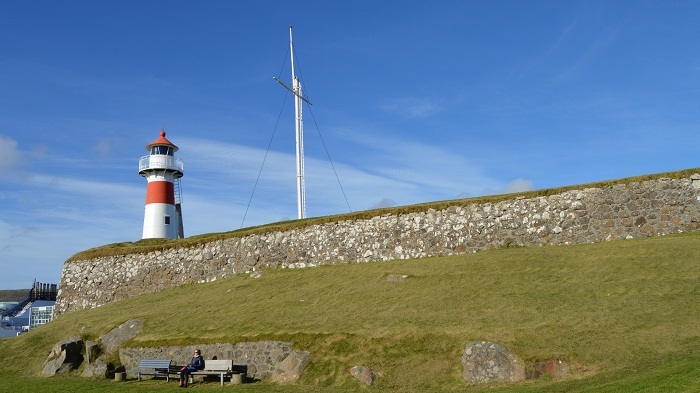 Located on a hill, beside the Port of Tórshavn, the fortress was expanded considerably in 1780 and went through series of rebuilds for many years afterwards. 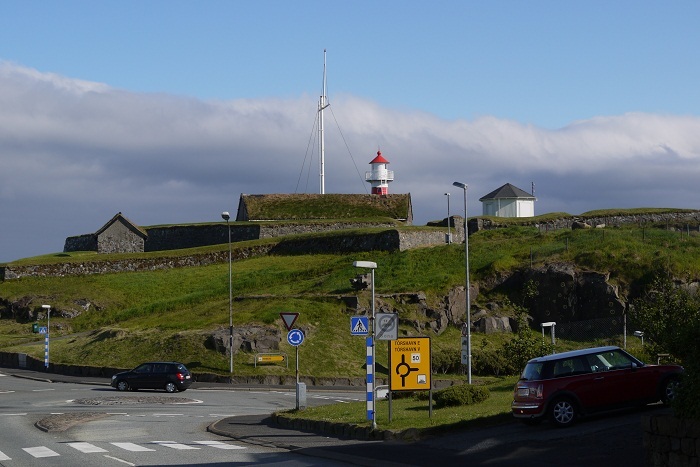 The shape in which we see the fortress today, obtained it in 1780, and during the Second World War the archipelago was occupied by the British troops, who also used the Skansin Fort as their military base. 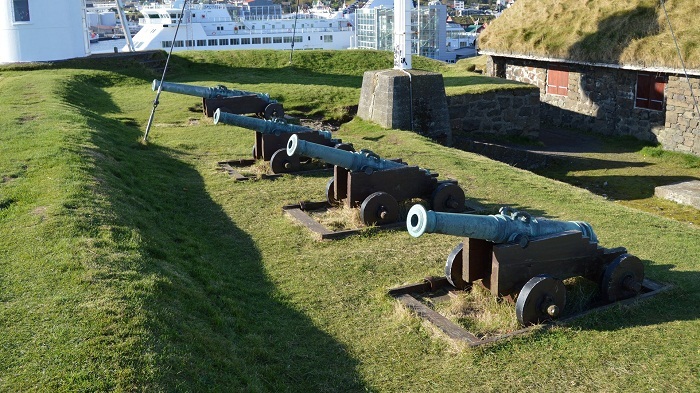 From that time, there are two guns which were left at the fortress, accompanied with another bronze guns of Danish origin, left from 1782. 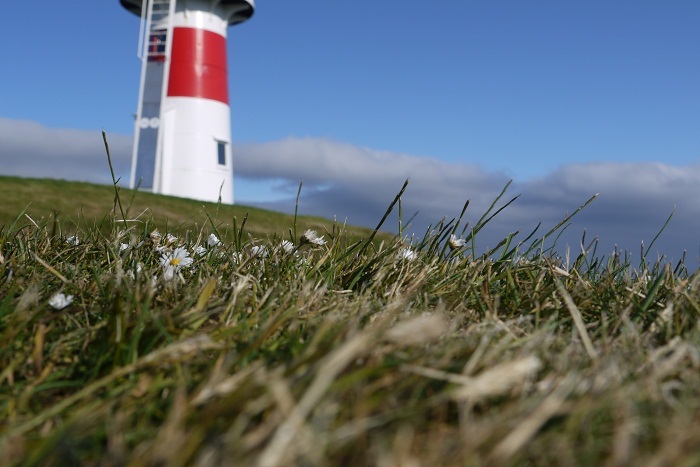 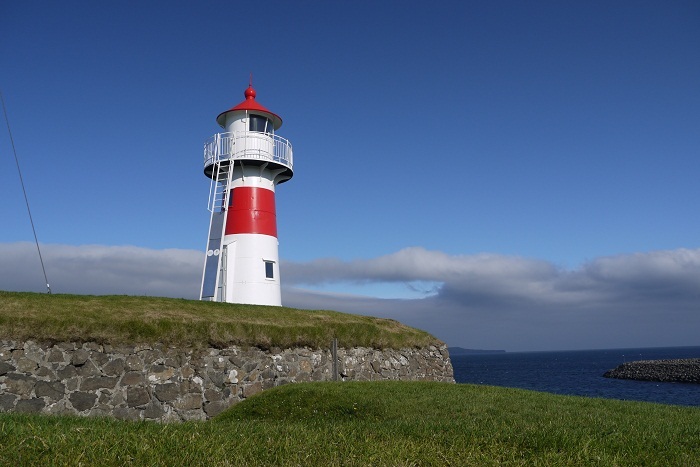 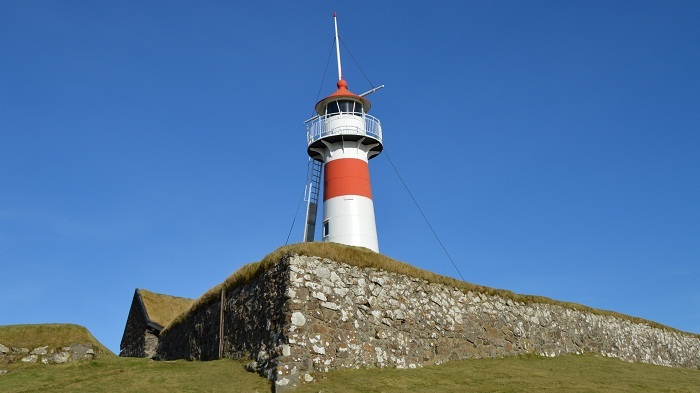 Another interesting feature, which is newly built, is the Skansin Lighthouse that towers over the fortress, and showing the correct way for the sailors to get to the capital of the small island nation of the Faroe Islands.